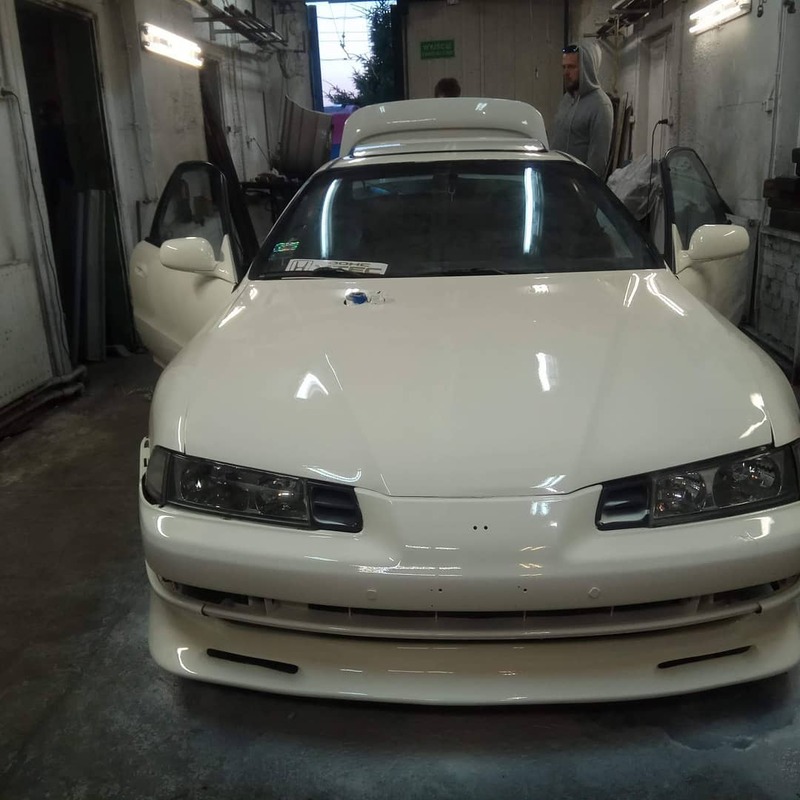 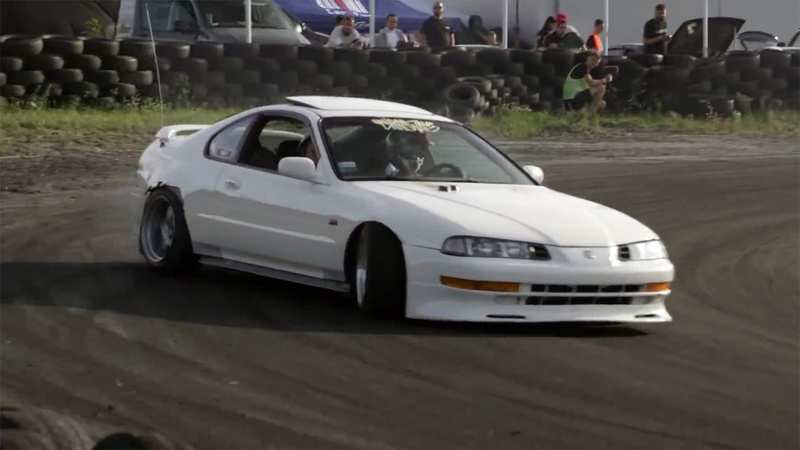 Peuek Szorstki converted his Honda Prelude to a drift machine thanks to a full powertrain and suspension swap. 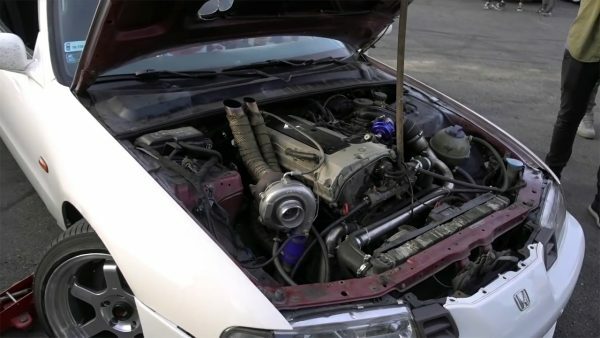 Under the hood sits a Mercedes M111 inline-four that originally came with a supercharger but now has a turbocharger making 0.8 bar (11.6 psi) of boost for about 200 horsepower. 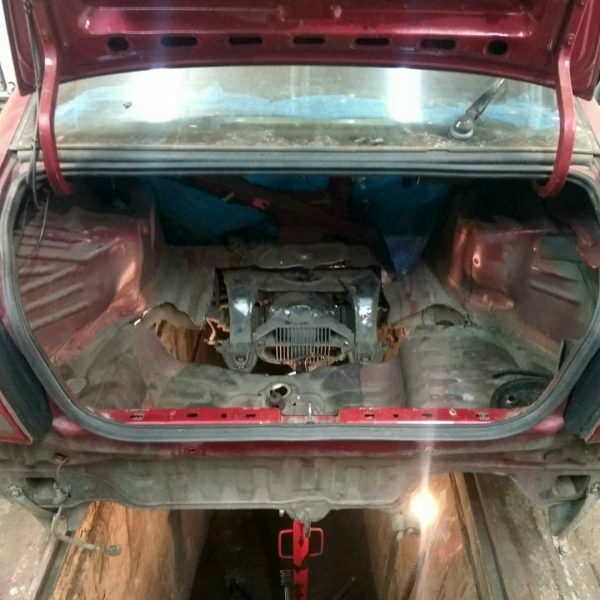 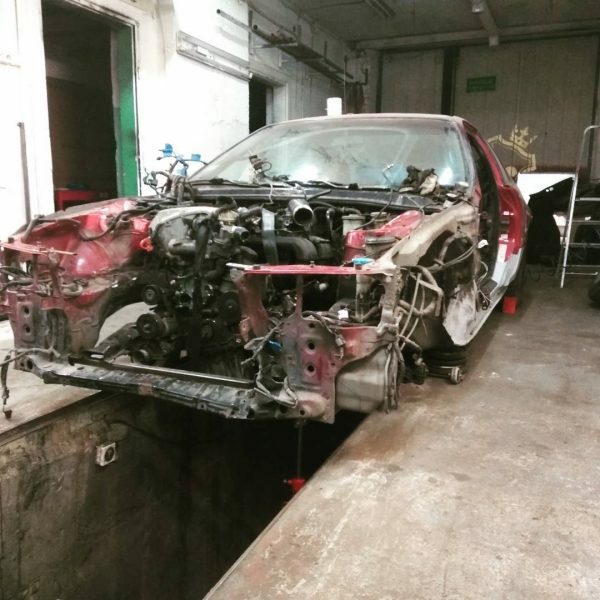 The car rides on Opel Omega B (Cadillac Catera) front/rear subframes and suspension with Opel Vectra coilovers in front and custom coilovers in back.